Selling a scrap car for cash is a big deal in Hornsby NSW, but selling an old car that is no longer wanted in the market is a tedious and stressful task, to say the least. Many have no idea where to even start. You go to Google or Bing and search to find out some service providers who can buy your old cars in Hornsby NSW 2077. But, all in vain. There may be thousands of results coming in return of your search query but many are useless. Some don’t offer their services in suburbs, others only make big promises and get you nothing but pennies. Call Your Local Cash For Cars Company In Hornsby Near You! If you are an owner of an old, unwanted, used, junk or scrap vehicle, don’t worry, as Metro Car Removal is here to help you and make sure everything proceeds as smoothly as possible. 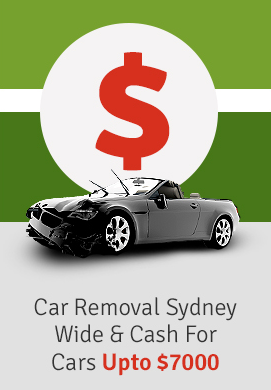 Metro Car Removal is a licensed and experienced service provider in the car removal and wrecker business in Hornsby, serving the clients in Hornsby for over a decade now. Highly valuing our clients, focus on Metro Car Removals is client satisfaction. We offer our cash for cars and car removal services in a friendly and professional manner and guide you throughout the process. We have designed our car selling process in a way that is easy to understand and quick to follow. The entire process can be completed in as little as a few hours, depending on when you require our services and our commitments for the day. If you will be unavailable for a period of time, we can delay the appointment to a time, which suits you better. 1- All we ask our clients is to call us at [phone] to get in touch with one of our experienced staff members. Give us accurate details of your car and we’ll provide you a rough value for your old, and unwanted vehicle. Phones are no longer your thing? You can also send us a message via our online form or through our email [email] and we’ll get back to you with an offer ASAP. 2- The details you provide to us in your initial enquiry help us make an estimated value of your car. This is subject to change in the final valuation of your vehicle as our first estimate is based on how accurate you tell us about your vehicle. If you gave us correct details, the final value will also likely be similar to the initial offer. On-site evaluation can help in increasing the value as various factors are considered, such as spare keys. 3- Once you accept our offer, we then move on to the scheduling phase. You can tell us the date or hour you want your car removed and you will hear us saying “your wishes are our command, sire!” We are very flexible and work with our clients to choose a time that suits you best. This may be the same day, same week, or even months ahead – completely depending on your schedule. 4- On the day of car removal, we perform our final valuation to verify the details you have provided us and confirm our offer. This may slightly decrease or increase, depending on the accuracy of details and/or any other factors. Once this done, you can confirm the sale by filling out some simple paperwork to authorise us as the new owners of your scrap and old vehicle. Once the formalities are done, we give you the promised payment (cash or funds, whatever you want) and remove your vehicle. You walk away richer, and we walk to our scrap yard. Jeep, Benz, Holden, Ford, Hyundai, Toyota, Isuzu, Mazda, Audi, Great Wall, Fiat, Saab, VW, Nissan, BMW, Subaru, Suzuki etc. All happy? Contact us at [0422 600 833] and turn your old vehicles into quick cash.